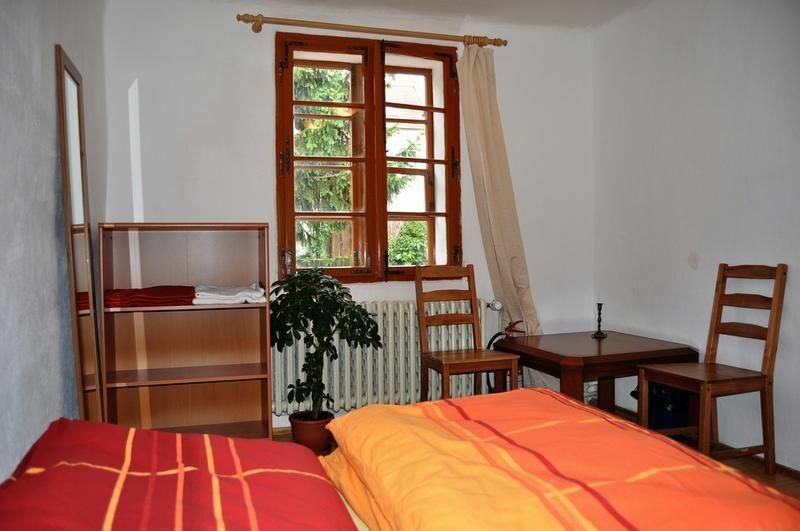 A small, cozy hostel located in the historical town centre one minute from the main square of Ceske Budejovice. 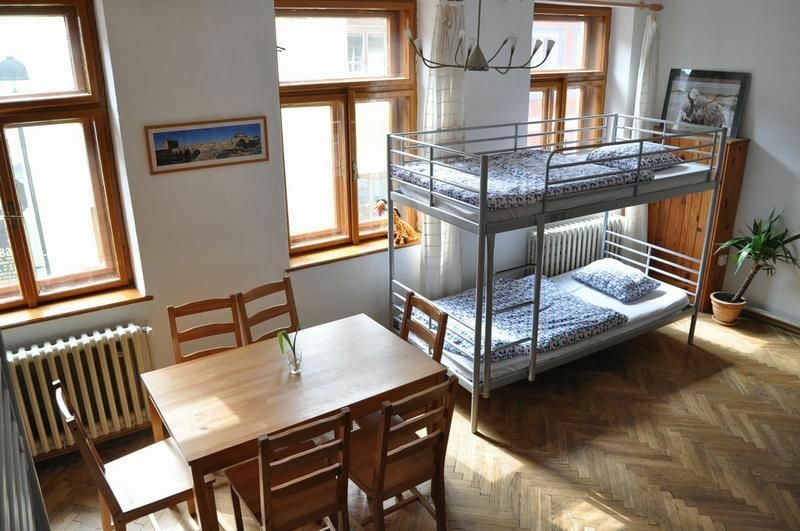 We offer one 4 bed dorm, one 6 bed dorm en-suite and one private room with a double bed and shared bathroom. The cafe downstairs is a pleasant place frequented by students and travellers, and features a terrace with a barbecue. 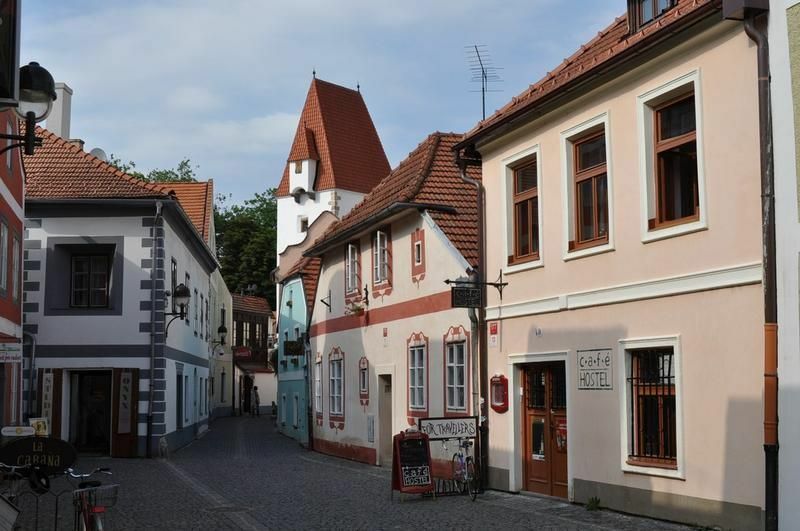 Take advantage of our great location to explore the beautiful old town centre with its numerous bars, restaurants and other attractions. We provide free WIFI, a free do-it your-self breakfast, friendly service and information about the town and the surrounding area. Stay one night and you will want to return again and again. The main bus and train stations in Ceske Budejovice are faced each other. From the bus station, cross the street towards Dvorakova street and you will come out on Lannova street (a wide, pedestrian-only street with many shops). Turn left and keep going straight. Cross the busy street and keep going straingt again, you will get to the main square. Cross along the side of the square, keep going in the same direction through Piaristicka Street. At the end of the street turn right, then first left, then first right again and you will see our hostel on your right after about 50 metres. The whole walk will take you about 15 to 20 minutes.